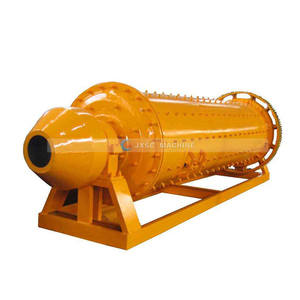 1.Introduction of spiral classifier and ball mill: There are four types classifier:high-grading single-screw and double-screw, sinking type single-screw and double-screw classifier. 2. 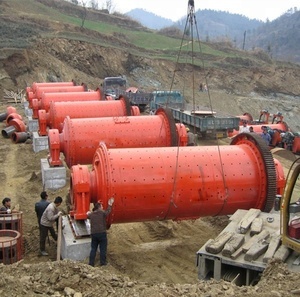 Appli cation of spiral classifier and ball mill : Classifier widely used in mineral processing plant to match with the ball mill and form a closed-circuit circulation to process mining sand. Also it used in gravity mine-selection plant for classifying sand and mine mud, and grading sand according to the particle size, de - sliming, dewatering in the mine washing process. 4 YRS Weifang Guote Mining Equipment Co., Ltd.
6 YRS Luoyang Runcheng Petrochemical Equipment Co., Ltd.
6 YRS Xinxiang Weiliang Sieving Machinery Co., Ltd.
2 YRS Qingdao Epic Powder Machinery Co., Ltd. The secondary air stream enters the classifier to a ring of guide vanes. The materials of construction are selected for highest strength during production. The wheel is placed in a vertical position to get a good dispersion of the feed product. 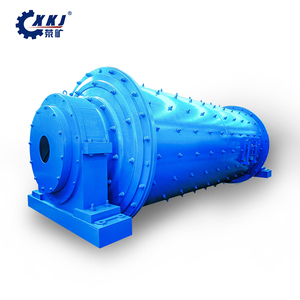 The function of industrial vibrating screen classifier 1. Size classification: separation of particles into groups of comparable size from the materials. 3. Product reclamation: removal of the solids from waste product or clarification of waste liquid for further use. 5. Liquid cleaning: cleaning of wastewater or removing the solids from recalculating liquid. 4 YRS Henan Hongxing Mining Machinery Co., Ltd.
6 YRS Xinxiang Dahan Vibrating Machinery Co., Ltd.
14 YRS Liaoyang Pharma Machinery Imp. & Exp. Co., Ltd.
7 YRS Xinxiang Zhenying Mechanical Equipment Co., Ltd.
9 YRS Xinxiang Zhenying Mechanical Equipment Co., Ltd.
9 YRS Yueyang Keli Electromagnet Technology Co., Ltd.
We specialized in the production of crane L ifting magnet , magnetic separator , cable reel and control equipment . Perrmanent lifting magnet, lifting electromagnet,circular & rectangular electromagnet. 4. 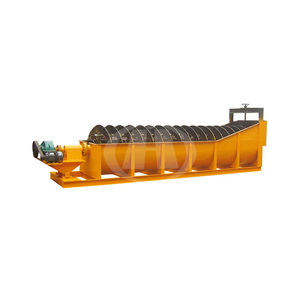 Dry magnetic separator, wet magnetic separator , betl magnetic separator ,drum magnetic separator , wheel power magnetic 5 . 2. Spiral: It is the main components of this machine, it formed by the main shaft, frame, spiral blades, lining iron frame. 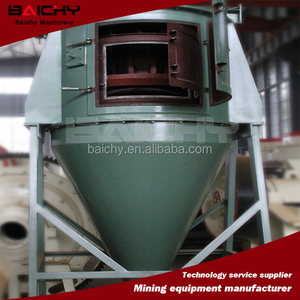 (3) When ball mill has cancelled big spoon head, it has no effect on specification and grinding ability of classifier. 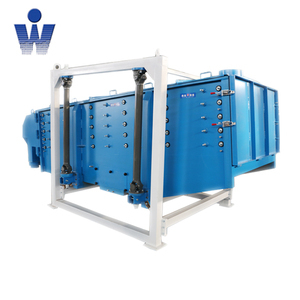 Technical Parameter The leaching tank usually used in the following Process Welcome to visit our company, and discuss the win-win cooperation! 9 YRS Shanghai Donxe Industrial Co., Ltd.
10 YRS Jiangxi Naipu Mining Machinery And New Materials Co., Ltd. Inside the first chamber,there are stage liners and ripple liners as well as steel balls. After-sales service: 1. Installation, adjustment, and testing of equipment is available. 4.If any failure or question about the machines or the processing line, contact us and we are available at any time. 5 YRS Fushun Ejet Magnetic Equipment Co., Ltd.
8 YRS Henan Hongxing Mining Machinery Co., Ltd.
11 YRS Xinxiang Gaofu Machinery Co., Ltd. Detailed Images Machine Feature Mineral spiral classifier are widely used in the distribution of ore in closed-circuit with Ball mill in mining processing, in order to get a certain degree fineness of ore particles, meanwhile increasing the efficiency of grinding. 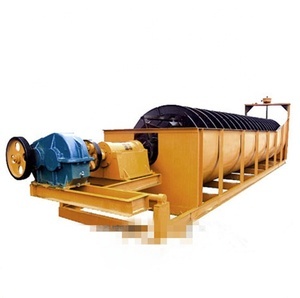 This machine can also be used to washed sand classify ore sand and play other functions. 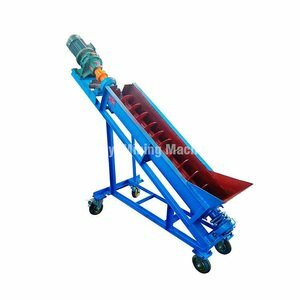 This machine can also be used to washed sand classify ore sand and play other functions. 11 YRS Weifang Jinghua Powder Engineering Equipment Co., Ltd.
Alibaba.com offers 8,527 separator of ball products. About 11% of these are mineral separator, 7% are separation equipment, and 1% are other farm machines. A wide variety of separator of ball options are available to you, such as magnetic separator, gravity separator, and flotation separator. You can also choose from free samples, paid samples. There are 8,527 separator of ball suppliers, mainly located in Asia. The top supplying country is China (Mainland), which supply 100% of separator of ball respectively. 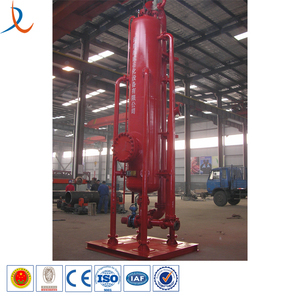 Separator of ball products are most popular in Domestic Market, Mid East, and North America. You can ensure product safety by selecting from certified suppliers, including 4,121 with ISO9001, 2,837 with Other, and 338 with OHSAS18001 certification.